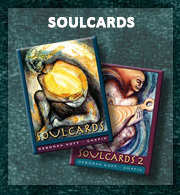 I have recently started using SoulCards in my shamanic healing work with clients and find them to be a very useful medicine tool. 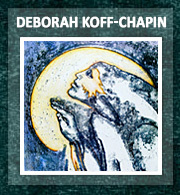 The beautiful multi-layered images Deborah has created are rich with meaning and evoke deep emotions. 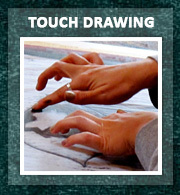 They assist clients in giving expression to the wounds that need healing. I also use them to help clients see how their perceptual states can drastically shift during the course of a healing session. At the start of a healing session the client talks about the issue they’d like to heal as a way to connect to their core feelings related to this issue. 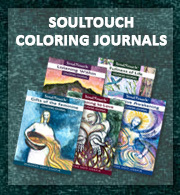 At this point, I ask the client to choose a SoulCard and to talk about what the card means to them in relation to how they are feeling in the moment. Since they have just connected deeply to their pain, the interpretation of the card is often one that reflects a wounded mind state. After the healing session is complete, I ask the client to look at the card once again. Their interpretation has often been dramatically transformed from when they first saw the card at the beginning of the session. An example of this perceptual shifting is well illustrated in the following story. A client came to me and wanted to heal her feelings of rage around how her mother abused and mistreated her as a child. Her worst fear was that she may reenact this behavior with her daughters. We decided to do a power retrieval journey to heal this wound. 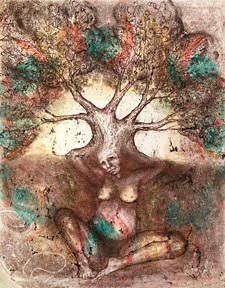 Before embarking on the journey, she chose the SoulCard shown here (woman/tree). She described the card as being a pregnant woman trapped underground. This woman would give birth to a child who, like herself, would suffer from being abused. The wounded legacy of the family tree would be carried on for all time with no hope of change. They were all doomed. After completing the power retrieval ceremony, the client looked at the same SoulCard again. She described the image as being a pregnant woman who was giving birth to a child where she would be nurtured and loved. A whole new generation of people would emerge out of this loving, nurturing woman. The client was so surprised and delighted by her new perception, one that brought her a sense of relief and hope. Using the SoulCards in this way helps demonstrate to clients how their perceptual states can shift from a wounded mind set to a healed state within an hour’s time. It clearly shows that their wound has transmuted and that healing has occurred on many levels. 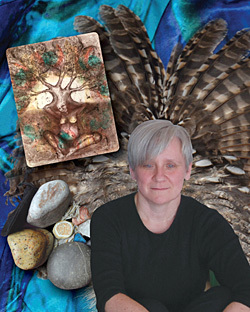 Susan is currently a senior student at the 8th Fire School of Algonquin Shamanism in Toronto, Canada. She has been a partner in a graphic design business for 30 years. As an artist and feminist activist, she organized “Don’t Remain Silent”, a group art exhibition of over 60 Canadian women artists responding to the Montreal Massacre. She has also developed ethics education related to the psychotherapy relationship and co-authored the handbook, ‘Client Rights in Psychotherapy and Counselling’. Susan can be contacted at her member page. You can also join her in conversation in the online community group on Shamanism.